Your swimming pool is a major investment that will become a place where you and your family will spend a lot of time. Your new pool could potentially increase the value of your home. Therefore, you should experience the layout of your new backyard down to the smallest detail. 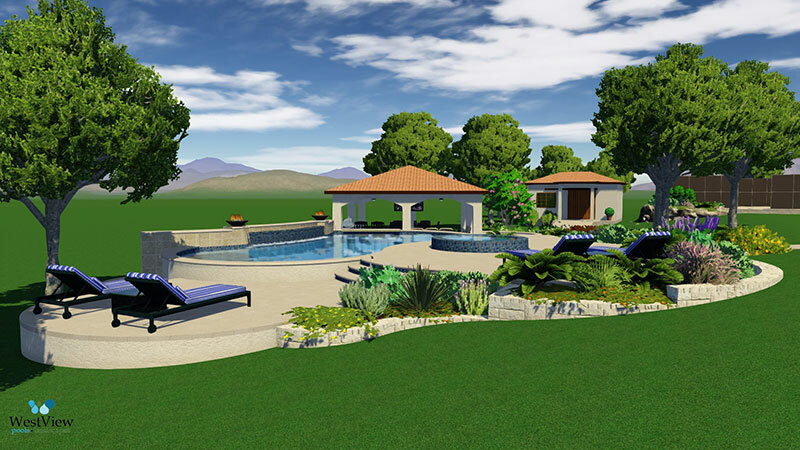 WestView Pools proudly uses Pool Studio, the industry leader in professional 3D swimming pool design software. Pool Studio creates a unique, interactive 3D presentation that allows you to be fully absorbed in your future backyard, and able visualize the layout clearly and accurately. Difficult design choices like pool surface and deck color that can be hard to visualize come to life in Pool Studio, making your choices easier than ever. Please browse our gallery of pools to see some of our best work, and gain inspiration for your own exciting, new backyard oasis. Then call 210-370-7080 today to schedule an appointment and let us bring your ideas to life in Pool Studio.